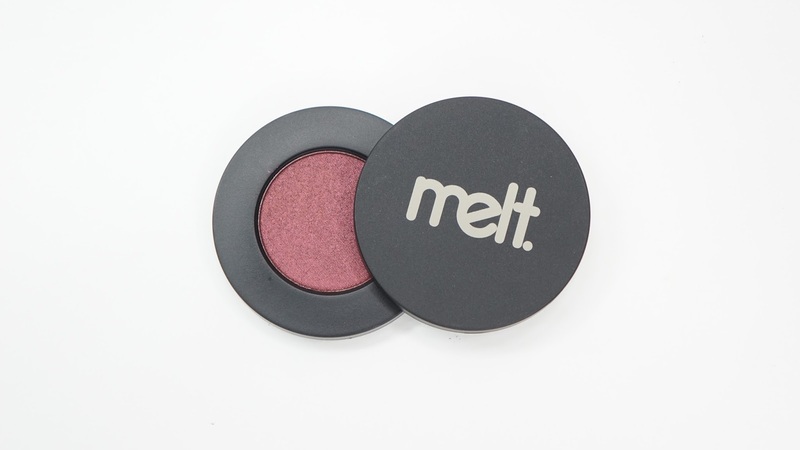 I'm such a massive fan of the Melt Cosmetics eyeshadows that I couldn't resist getting the She's in Parties Eyeshadow Stack. I've also been trying to get into purples and this fit perfectly into what I wanted. The stack comes with two mattes and two "dimensional foil" shades that compliment each other so well. 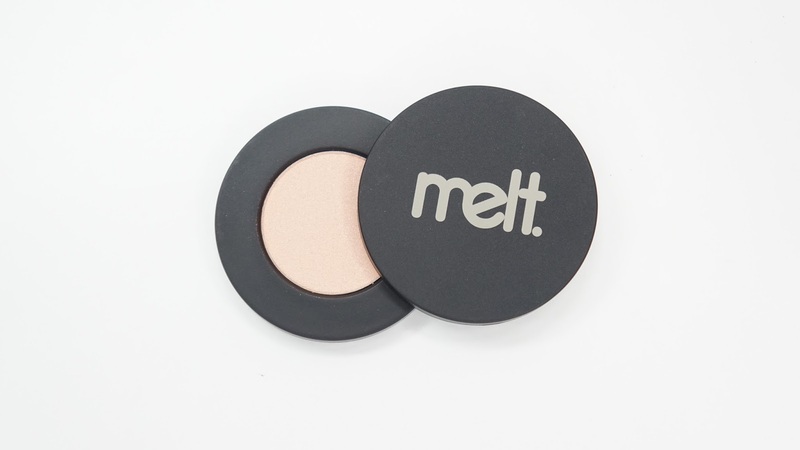 This stack contains 13.85 grams / 0.48 ounces of product and retails for $48 on the Melt Cosmetics website here. I half like and half dislike the packaging. It's fun and interesting since it's a magnetic stack, but it makes me nervous to travel with since the pans might slip and expose the shadows to damage. I have one massive stack on my makeup desk with all the Melt Cosmetics eyeshadows in my collection and while it doesn't take up that much space, it gets confusing when I'm looking for a particular shade. 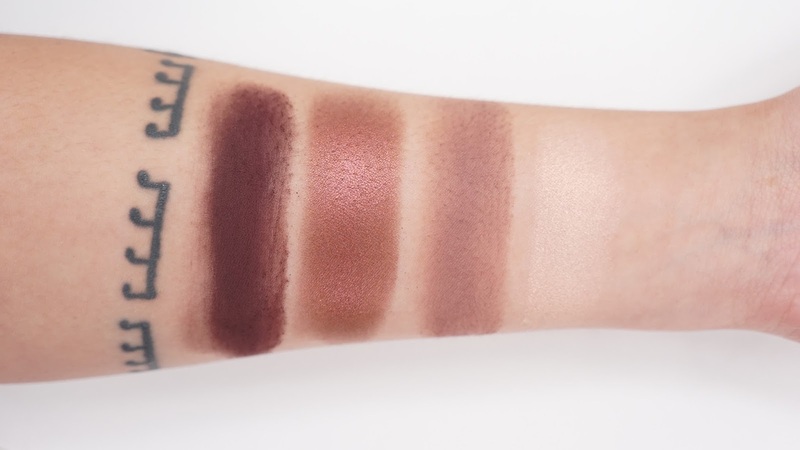 Skeleton Kiss is described as a "creamy bone shadow with a kiss of a rose gold shift" but it's kind of hard to capture that shift to really show you. It's a shimmery slightly pink based bone shade with a more warm coraly pink shift. I wouldn't really call the shift a rose gold and it instead reminds me the Urban Decay Highlighter in Fireball or Milk Makeup Highlighter Mars. Last Caress is described as a "mauve-taupe" and I agree! 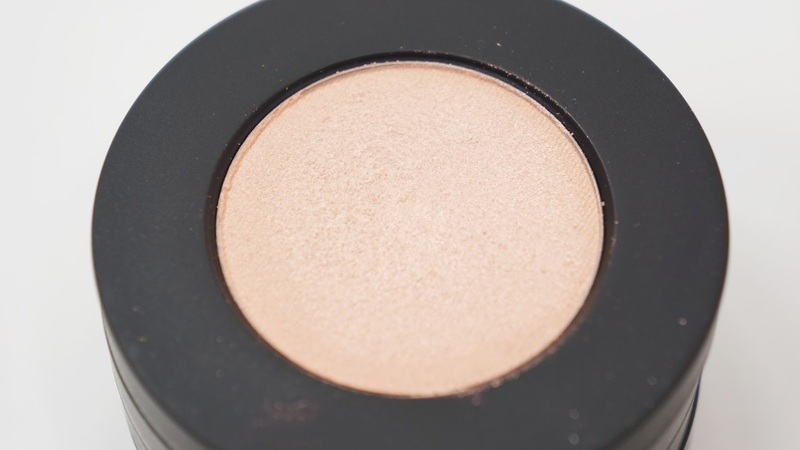 A light layer can make a great crease shade but it builds up pretty quickly for me. The formula is smooth and so easy to blend but I could see a tiny bit of patchiness if my lids aren't powdered to get rid of any moisture. Once I put down the first initial layer, it's smooth sailings and looks beautiful. She's in Parties is described as a "burgundy frost shade with hints of copper and pink flecks." It's not as soft or "creamy" as other metallic/shimmer formulas I've tried but it's fine with me since it builds up to be just as metallic. Oddly enough, I like using a brush with this shade instead of my finger since brushes seem to pick up the product better. There's also very little fall out with this shade and so I don't really need to press it in with my finger like other softer metallic shades. Meanstreak is described as a "deep plum" and while it does look significantly darker than Last Caress, they build up to be about the same color on my eye lids. I don't get why and so I wish it was a bit darker. The formula does feel drier and more powdery and so it was hard for me to get a good arm swatch of it. It does apply way better with a brush on my eyes though. You probably can't notice the difference between Last Caress and Meanstreak, but Last Caress is in my crease and inner half of my lower lash line while Meanstreak is in the winged section of the look. Skeleton Kiss is on my brow bone and inner corner and She's In Parties is on the inner half of my lids. Unfortunately, these photos did slightly wash out the colors and so the arm swatches are more true to life than these eye looks. 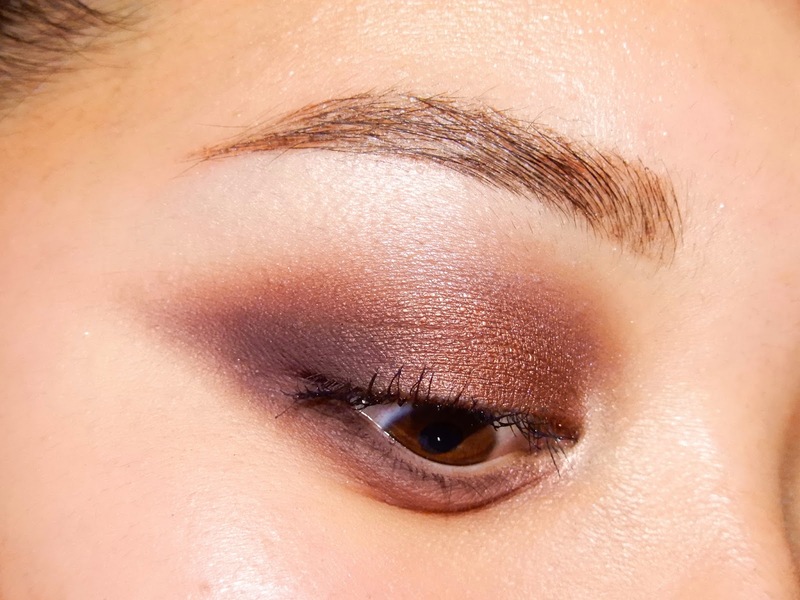 All of the shadows go so well together to create a gorgeous plum smokey eye look. Of course, you don't need to use all of them to go full on smokey though. I have a love and like relationship with the darker matte shades. They can get patchy because they're dry but they work well on the eyes. Regardless of the tone, all of the shades last so long once I have a light dusting of translucent powder on my lids. Primer has kind of been annoying to me and so I haven't been wearing it as much, but the shadows still last all day on me without any problems. Final thoughts: I don't regret getting this palette, but it's not my favorite. It's a good palette and the four color choices go really well together, but I don't love it enough to justify the price. I'm also someone that doesn't wear a lot of purples though and so that might skew my opinion. Skeleton Kiss, Last Caress, and She's in Parties are all shades I do see myself using a lot but there's something about Meanstreak that's harder to blend and I want it to be better considering how dark it is and the price. If we do ignore the price and maybe think about sale pricing, I would say it's a good purple palette to go for. 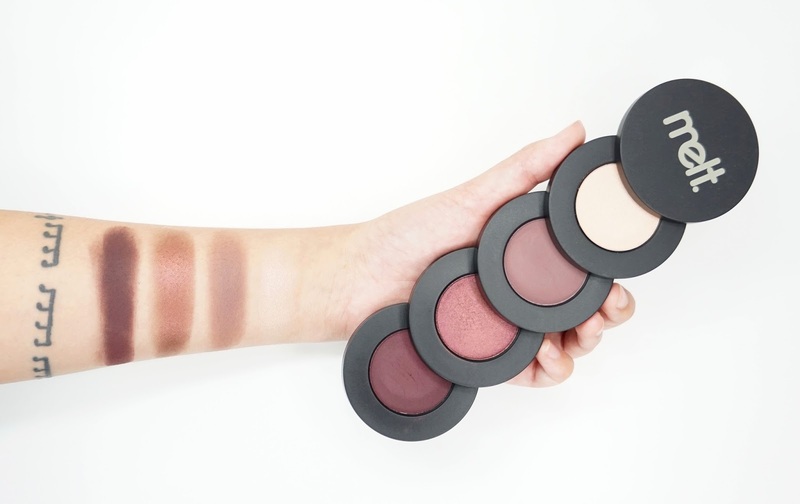 They're all wearable shades that can be used to create some gorgeous natural to smokey looks. I would also say that if you like purple shades and want to venture into this plum palette, I would recommend this palette. Did you pick up this palette? Will you pick up this palette? 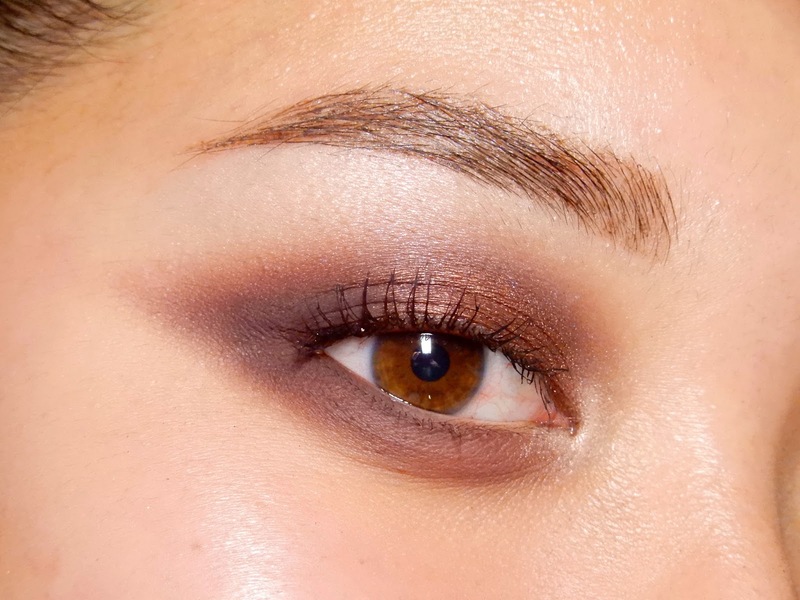 What do you think about purple eyeshadows? PS - Don't forget to enter my Red Lipstick Giveaway here! There's also a blog post here!